When me and Darren went stalking carp on Saturday morning we saw quite a lot of fish - but there was one that was quite a bit bigger than the others, a blond mirror carp. Darren managed to put a bait to her a couple of times but she didn't want to play... Can you see where I'm going with this? So this morning I got up at stupid o'clock and had a blast before work - and I didn't have to wait long. No messing about today, 8lb line straight through and a size 12 hook - but it still went like stink - and my knees started to shake when I saw what I'd hooked. 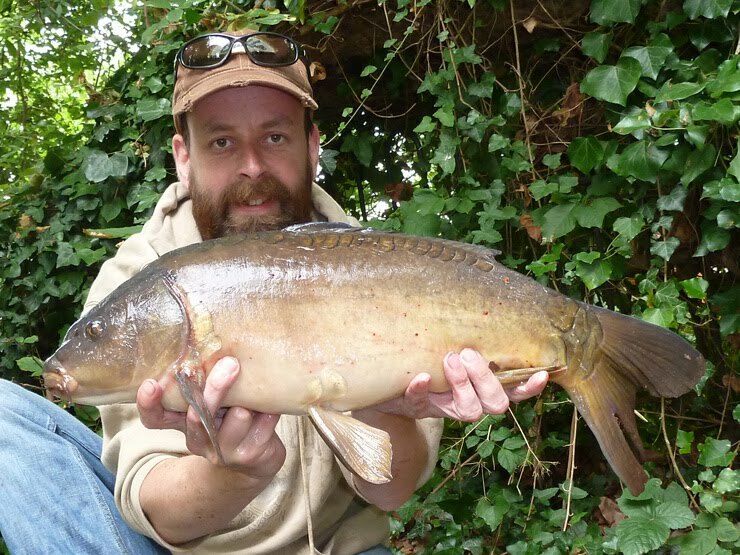 A beautiful 14lb 7oz mirror carp, I'm pretty sure it's the same fish that was teasing us on Saturday. I was so pleased I photographed both sides! With about 50 minutes left on the clock I had a few more casts... And a 7lb 14oz mirror to finish on (I thought it was a leather until I got it to the net). Not bad for a couple of hours fishing, and back home for breakfast! Cheers. The light was wrong so I couldn't sight-fish for them, just a fluke I hit the fish I was chasing... But they all count! Just realised this is a new river carp PB, beating the eleven from the Wye... That must have been 15 years ago. That bigger Mirror is an absolute beauty. Top fishing. Hi Jamie, been out? Been catching? Thanks, I do want to complete the barbel challenge, or at least give it a good try, but I do keep getting distracted - feel I'm getting closer to a pound plus roach. And those carp were just far too tempting! Well in Bri, bet you're chuffed. Great looking river carp! Very chuffed! 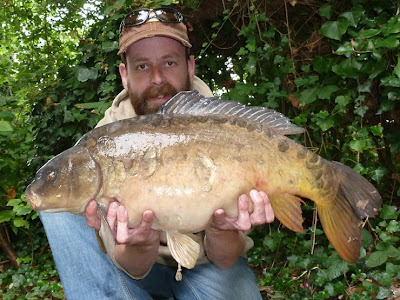 I think I'm right in saying it's a stocked and long forgotten river carp - not a wild one (which might explain why it's bigger than its pals) but a lovely looking fish. Those river carp look like great fun. Well done on a new river PB. Not long now till piking time!! The carp and roach are distracting me from the barbel challenge - but I don't care it's all great fun... Until the real season starts on October 1st..! 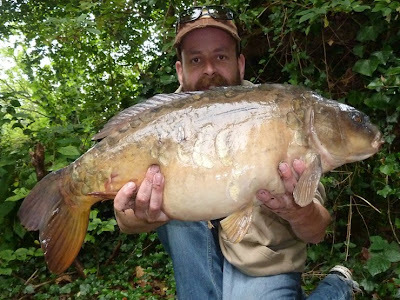 Have to agree with Stew, the larger Mirror is a very nice looking fish, well done Brian. Couldn't have designed a nicer looking fish. In the second photo my gf said it looks like a stubborn punk!